"Ringa Linga": Better as a One Take Wonder? After a wait of three long years, the sun has finally come out again! (What plant life has been using to photosynthesize since 2010 is a mystery.) Taeyang returns with “Ringa Linga,” a “pre-release”—or what the olds call “a single”—from his upcoming album, Rise. 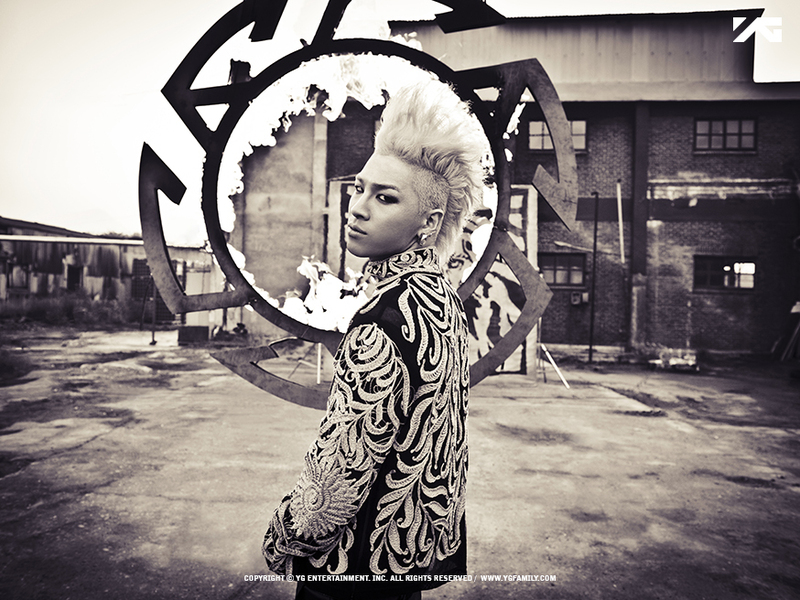 The Big Bang dance-machine debuted as a soloist in 2008 with the EP, Hot, and followed that up with the smash, Solar, two years later. While Taeyang’s Michael Jackson-esque hiccups and Usher-inspired crooning over R&B/hip-hop beats may be music to your ears (literally), his music’s arguably more vital role is as the soundtrack to the sick, b-boy choreography featured in his MVs and performances. Past hits like “Where U At?” were as much about the song as they were the dance, and they delivered the goods in both arenas. Luckily, “Ringa Linga” (the MV and the song) lives up to the lofty expectations set by its predecessors. Penned and produced by Big Bang band mate, G-Dragon, and Jose E. Luna, the song is a fresh, bass-heavy, electro-tinged R&B/hip hop/reggae hybrid that can get the party started as well as it can serve as chill out music. The official MV follows in the footsteps of many Western hip hop videos before it with dark and gritty, almost post-apocalyptic looking, stylized urban imagery. 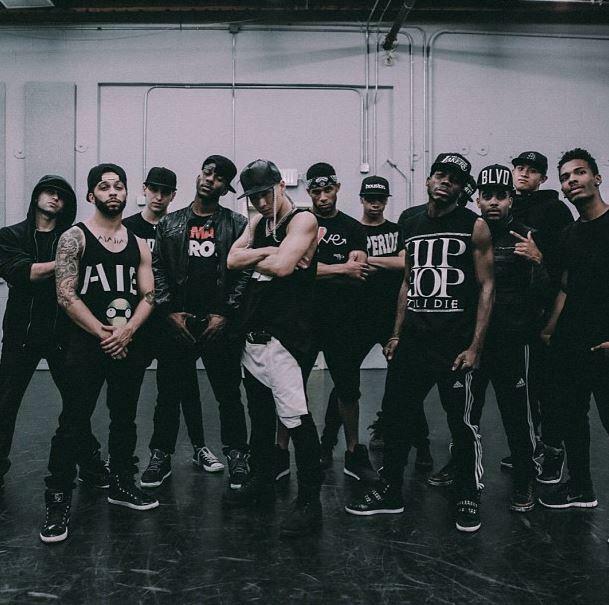 But it’s the dance performance video captured in one take—a run through of a slick dance routine that manages to be equal parts slinky and frenetic, concocted by New Zealand choreographer and b-girl, Parris Goebels—that leaves the greatest impression. A strident, dub-inflected banger, “Ringa Linga” is a departure from Taeyang’s brand of romantic pop-R&B. He’s traded in sentimentality for cool braggadocio; hip hop beats for a baseline heavy with reverb and synth accents resembling laser light show sound effects; dulcet, impassioned crooning for lackadaisical rap verses dripping with swag. But while the track presents us with a whole new Taeyang, it’s representative of what we’ve been hearing of late from the song’s principle composer, G-Dragon. Like its cousins, “R.O.D.” and “Shake the World” from GD’s Coup D’Etat double album, “Ringa Linga” showcases a new signature sound from the Big Bang leader: simple, repetitive, driving melodies laid over beats that mash up reggae, hip hop, dubstep, and electro-pop, with synth and horn accents. Not a soul in sight is accusing GD of plagiarizing anyone’s aesthetic today like they did in 2009 with the release of “Heartbreaker,” saying it bore a striking resemblance to the Grade A-level wackness that is a Flo-Rida tune. G-Dragon has set his trajectory to “auteur” status. While the song displays G-Dragon’s musical gifts as much as it does Taeyang’s, it’s in the MV where Taeyang truly shines as the brightest star in the sky (despite a seconds-long cameo from GD). The vignette does well to present the crooner’s new, harder image, and show off his flair for movement, charisma, b-boy style, and corona of flaxen locks. Taking place against a backdrop of post-apocalyptic urban grime, referencing so many ‘90’s R&B and hip hop videos where shirtless, well-muscled partying is almost a form of protest in a grungy dystopia, the MV sees Taeyang work it out, popping, locking, and giving major face. He works it out in a warehouse, in front of a dilapidated building, in a barebones elevator, with GD at his side in a pickup truck that seems like some sort of inter-dimensional transport device, supported by a dance crew, flanked by writhing women, all by himself. Clearly, this is not a plot-heavy MV. 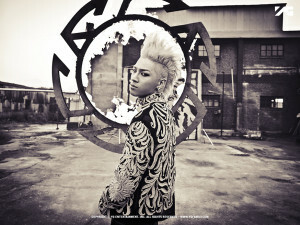 Its goal is to convey Taeyang’s style and display his ample talents, and it does what it sets out to do well. Interestingly, the MV is concerned with visual impact, yet, of the two vignettes, the subtler dance video is the more arresting. The skill of the performers and clear view of the innovative choreography in the less-stylized video outshine the day-glo looks, mean mugs at the camera, minor pyrotechnics, and krump-offs in industrial spaces of the MV. A black and white cast that varies in intensity and warmth throughout the course of the video gives it a high art, documentary feel. The camera moves with unassuming dexterity from practice room to the outdoors, then back into the building, creating angles that cleverly enhance the dynamism of the dancing and highlight the skill and precision of the performers. The scene in the lot behind the building, in which the dancers are surrounded by a halo of car headlight beams, seems like it was taken from an early storyboard of the MV. But this scene highlights the difference between the two videos. The single camera view in the dance video, coupled with play of lights and shadows, give the performers an ethereal quality and highlights the accuracy and fluidity of their movements. In similar outdoor scenes in the MV, the magic of the movement gets lost in the gritty cinematography, flurry of activity, and frantic camera work. It’s the dance video’s minimalism that gives it the edge. That and the fact that it was all shot in one take. Not even that inter-dimensional transport pickup truck could achieve that feat. As astrophysics (and common sense) tells us, Taeyang brings the heat. “Ringa Linga” goes hard, plain and simple. With a hip hop/electro/reggae sound gifted by GD, the song serves as the perfect medium for Taeyang to make a declarative statement about the new direction of his image and music. Both the MV and the dance performance offer up something cool, but ultimately, sick artistry unobstructed by cinematic bells and whistles impresses more than post-apocalyptic urban grit. 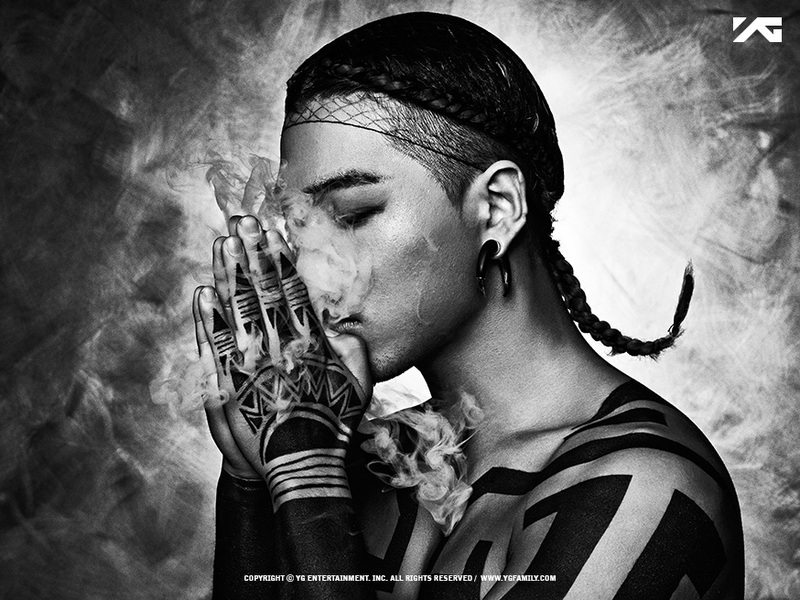 Now that “Ringa Linga” has whetted our appetites, we anxiously await the release of Taeyang’s full album. Luckily, we have lots of practice in that arena.